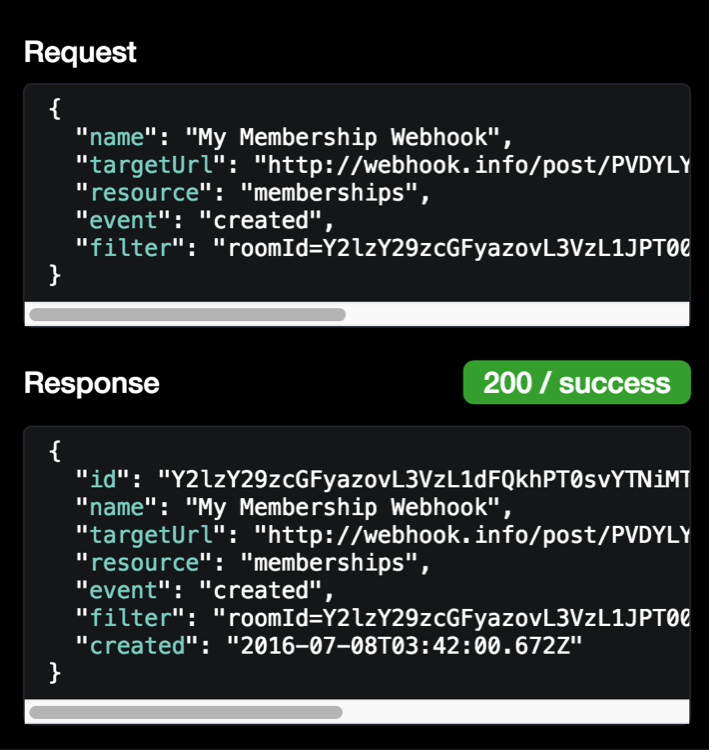 Using Webhooks - Rooms, Messages, Memberships and More! Justin DupreeJustin Dupree leads the Webex Developer Support team, helping developers understand Webex APIs. 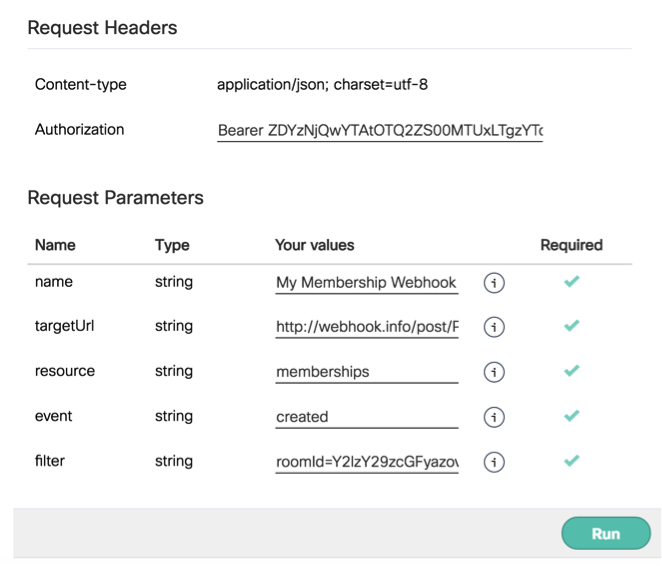 Webhooks are nearly universally implemented and loved in APIs of all shapes and sizes, and the Spark API is no exception. 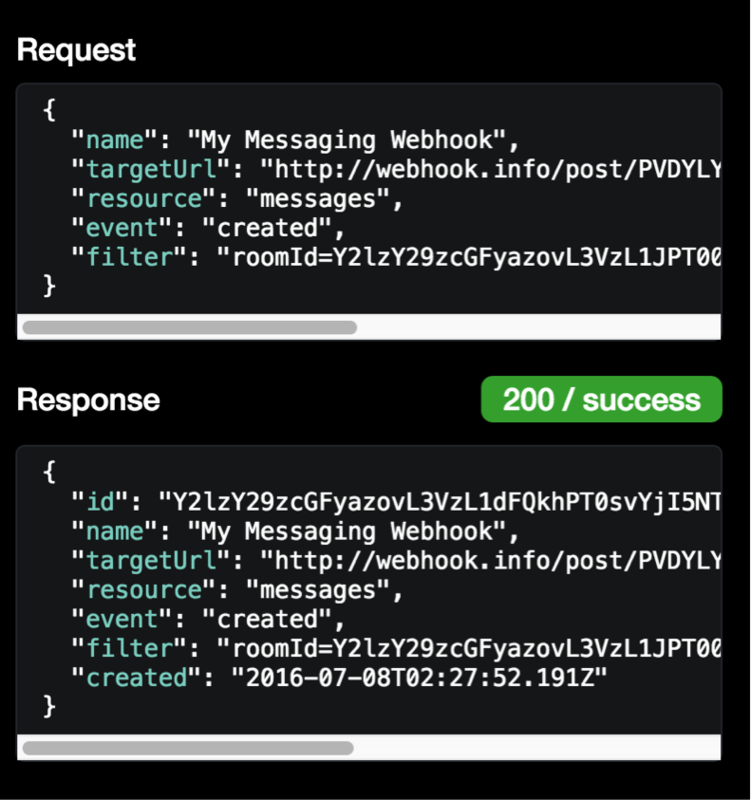 While we launched with just an outbound messaging webhook, the advanced webhook expansion reflects a plethora of options (even a genuine firehose for all events) sure to satisfy nearly any need or want! We’ll do a quick walkthrough of the more common use cases here, just to get you started, and look forward to the wide range of implementations our developer community puts together. Let us know on Twitter @CiscoSparkDev when you've created something cool! 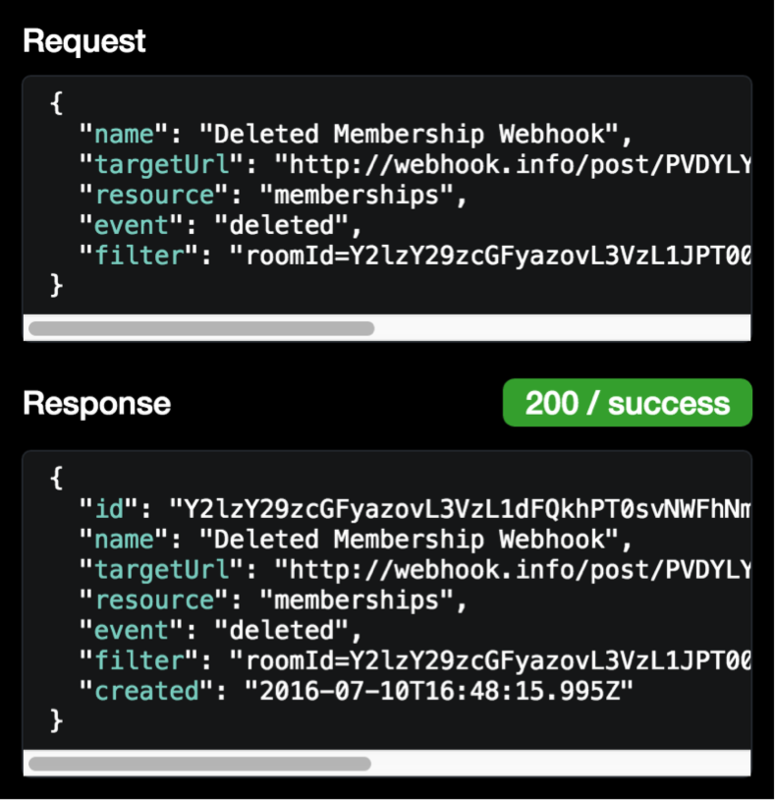 We’ll start with our first (and most likely to be used) messaging webhook. You can send data showing all created messages, all deleted messages, or both. We’ll focus on created messages, as that’s the more common use. Go here. You can probably tell the message is encrypted, and therefore fairly useless at the moment. 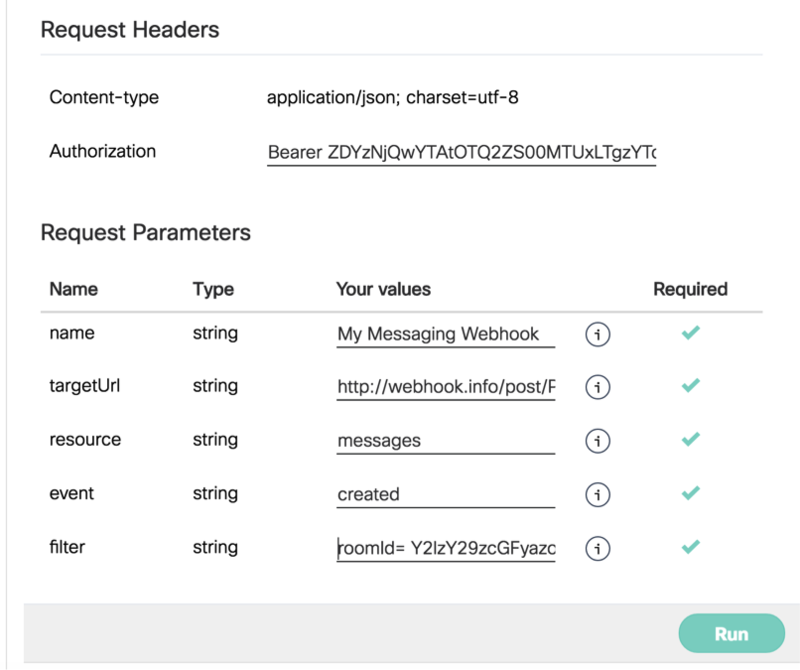 You’ll need to make a secondary, authorized call back to the API with the messageId (and personId, potentially, if you need that info) in order to retrieve the actual content of the message body. This page discusses that in more detail. Once you retrieve the message content, you can do a variety of things with it – track commonly used phrases/questions, see which rooms are most active, use trigger words to post back responses via a bot, quite a wide range of possibilities. For the last one, we posted a recent blog about Spark bots that provides a Python example showing how to retrieve the message content and post a message back to a room; check out the blog post for that example. 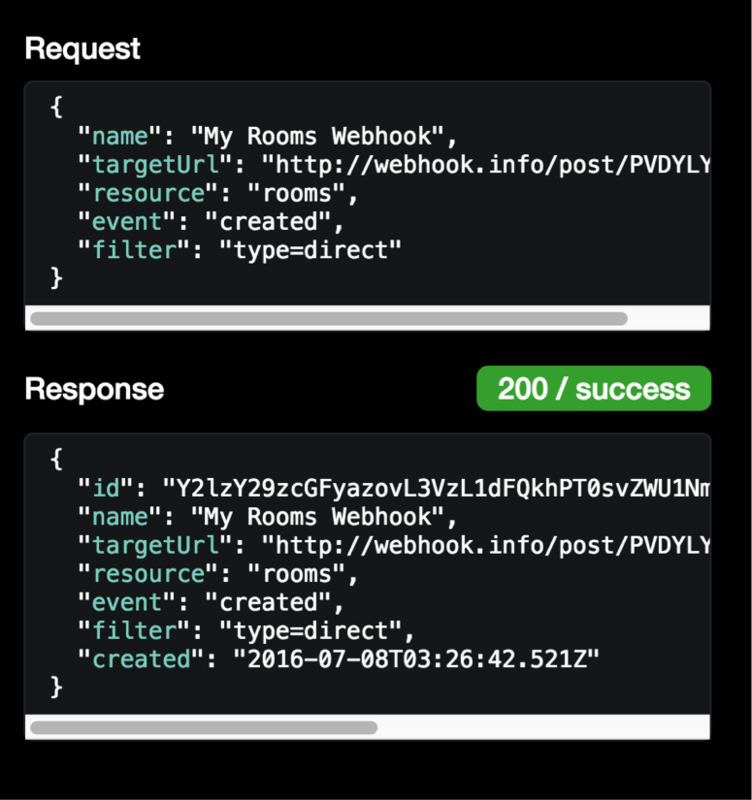 Like the messages, most of that is encrypted, so you’ll need to make an authenticated call back to the API to get the room details; this doc page explains in more detail. You may not need to make any additional callbacks on this one – the personEmail and personDisplayName are both in plain text and may be all you need, along with the date. 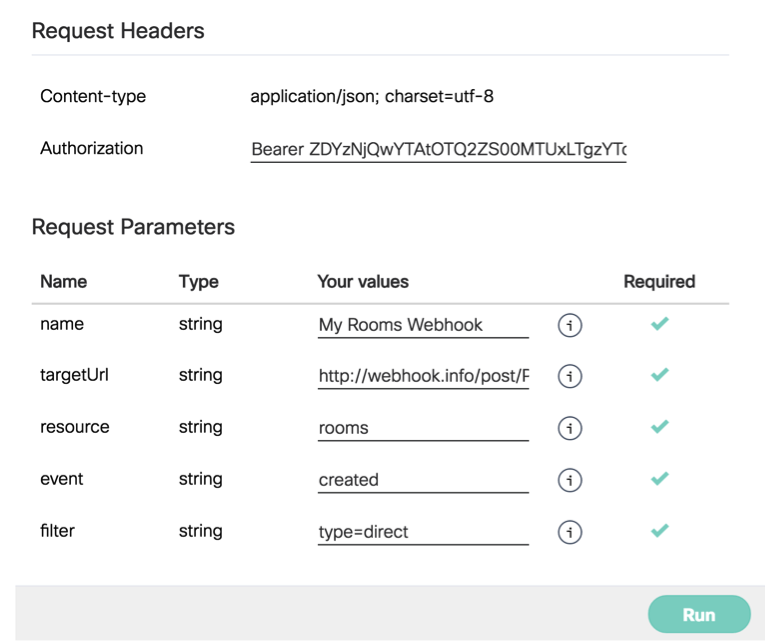 If you have a bunch of webhooks pointing to the same place, you may need to get the room details to know which room someone joined, but beyond that most of what you need is available in the clear. With those examples to get you started, you should be able to add all kinds of functionality to your integrations and applications using the vastly expanded options. Please give them a run and if you have any questions, please don’t hesitate to shoot us an email via devsupport@ciscospark.com!